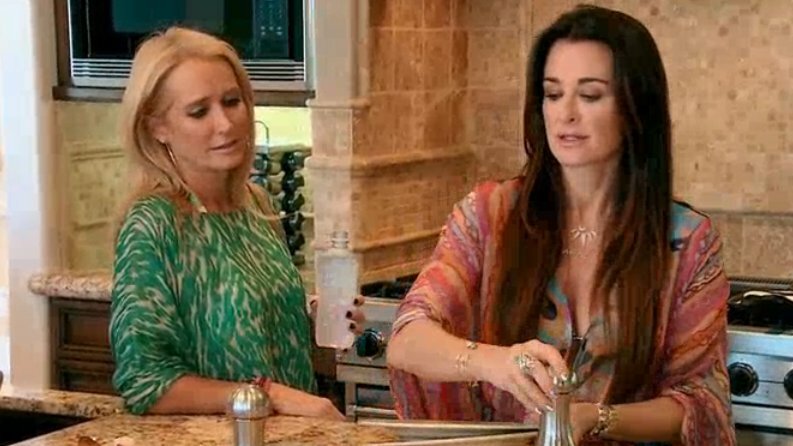 We’ve made it to the finale of RHOBH season 5, everyone is still alive, so far anyways, so that is always a good sign. Kim and Kyle are having a breakfast after what was a very stressful night in Palm Springs. They seem to be in a better place then when we left them, but it’s always an up and down with those two so you never know the next time they see each other. Which is at a book signing held a Kyle’s store for their niece Nikki Hilton. Lisa, Yolanda, Camille and Kim all show up to support to Kyle. Kyle tells Lisa and Camille, who is looking quite fabulous with her new Prince boyfriend, all about her time with Kim at Palm Springs. It was a drama free even, thankfully because what comes next is enough drama for anyone! Adrienne Maloof is throwing a party to launch something. Like Lisa Vanderpump says, it’s the only reason she throws these things so she has to be launching something. I’m thinking it’s this Never Hungover non alcoholic drink that shirtless men are pushing on everyone. Kim has one mission and that is to get to the bottom of the whole who said I need an intervention thing. Since you know we can’t get it go after almost having a fist fight about it. Adrienne is nowhere to be seen the first few hours giving the ladies a lot of time to create their own entertainment. By entertainment I mean drama. No sit coms in this bunch. 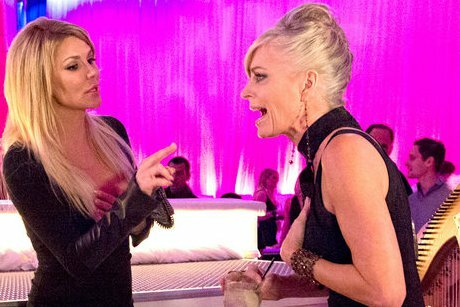 Yolanda and Brandi have a nice hello, and we hear more about how Brandi’s dad is doing. Lisa V starts the ball off with Brandi. She wants to talk about the slap some more and Brandi just isn’t feeling it. Her dad is sick, well dying in Brandi’s words and she just doesn’t care about all this garbage. She’s crying, Lisa is slightly sympathetic to Brandi and the situation but says it doesn’t excuse the bad behaviour. Eileen also wants to resolver her Amsterdam Kim begins phase one of her mission and confronts Lisa about what she said in the conversation with Brandi. Lisa learned her lesson in Amsterdam. When it comes to Kim and her sobriety keep your mouth shut! She refuses to confirm or deny anything that happened. She isn’t going down that road, you want to know what happened, go talk to Brandi. No one can understand why Lisa isn’t owning up to the truth since she’s a huge truth teller and Kyle is irritated that she didn’t back her up. Everyone has pressured Lisa into stepping up and backing up Kyle. When Kyle goes to get Kim back to the table she won’t go. Lisa tries to step in and Kim just shuts her down. She wants no part of Lisa Rinna. Kim now tackles Brandi. Brandi insists she never said the word intervention just that she needed support and was worried about her. They both agree that they are besties and no one will shake that. Lisa moves over to Brandi and Kim’s table just to reinforce that neither of them were gossiping and being mean and malicious. Kim doesn’t seem to understand that point. No one in this group was going around town spreading awful rumors, they were genuinely concerned about her because of the behaviour she was exhibiting. Kim spies Eileen and Kyle watching the three of them have their discussion and flies off the handle. Telling Kyle to Shoo fly. Looks like the Richards sisters on the skids again! Peace didn’t last long. In all this drama no one noticed that Adrienne arrived doing a huge magic act. Yolanda says hello to her with Kathy Hilton and Kyle is off crying over Kim in the corner. Looks like this season ended with a bang! The three-part reunion is next closing out our season. Will any of the issues with Brandi and the ladies get resolved, and more importantly can Kim and Kyle mend their broken relationship? Comment below and let us know what you thought of the season. Don’t forget to check out our BRAVO page for all our recaps on all the Bravo shows plus Jon is reading you the ladies blogs and giving you his take on the weeks events. ALSO we are covering Big Brother Canada 3, HELLS KITCHEN, Survivor, Amazing Race, and RuPaul’s Drag Race so check out their pages to keep up on what’s happening. Head over to AMAZON.COM to do all your online shopping. 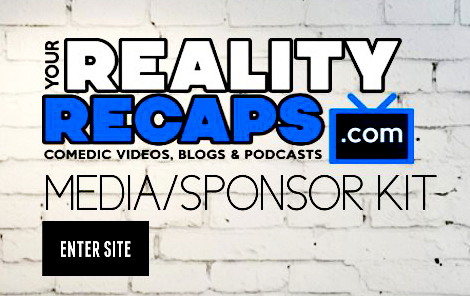 You’ll get all the same great prices and it will also help us to continue to bring you coverage of all your favorite reality shows. Previous ArticleIs NeNe Leakes done with #Bravo #RHOA?